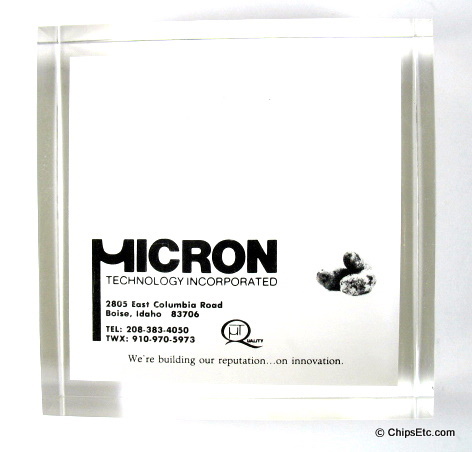 Founder: Ward Parkinson, Joe Parkinson, Dennis Wilson & Doug Pitman. Specialty: Manufactures Advanced Semiconductor products including DRAM & Flash memory, CMOS image sensors, semiconductor components, & memory modules for use in leading-edge computing, consumer, networking, server, mobile, & automotive products. 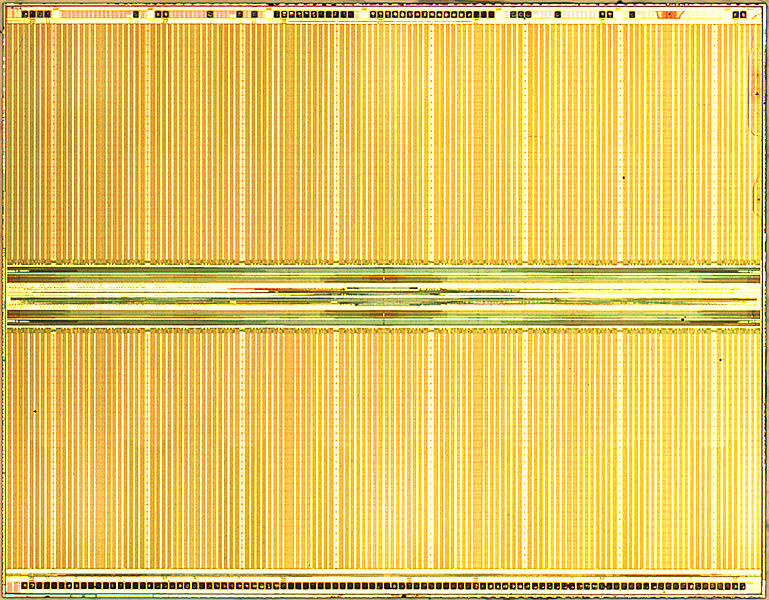 World's second largest memory manufacturer behind Samsung. 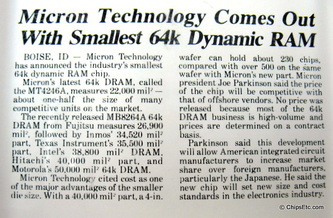 In 1979 Micron engineers finalized the design for a 64k DRAM memory chip. 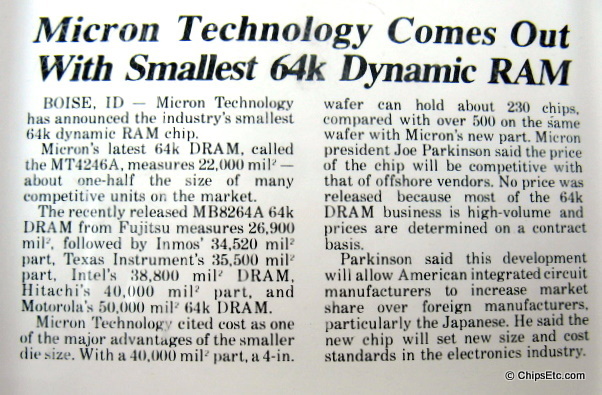 Their First 64K DRAM product is shipped in 1981. 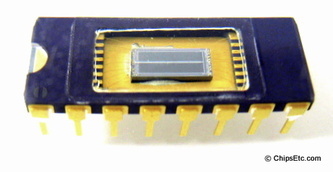 In 1983 The First "shrink" of their 64k DRAM chip is completed. 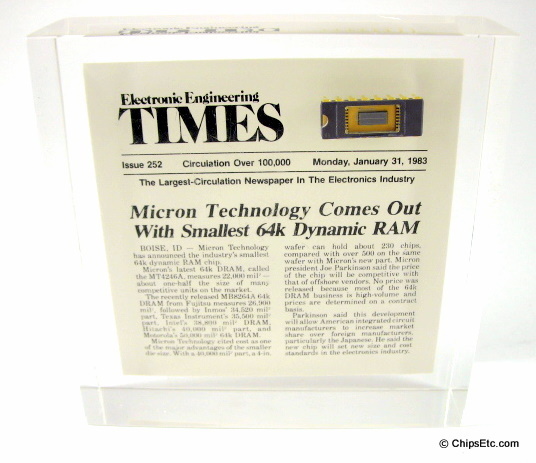 This Lucite paperweight has a background which features a copy of the announcement on January 21, 1983 in Electrical Engineering times of the World's smallest DRAM's introduction. An actual Micron MT4246A 64k DRAM DIP chip is embedded in the upper right corner and has it's lid removed so the DRAM memory chip can be viewed.